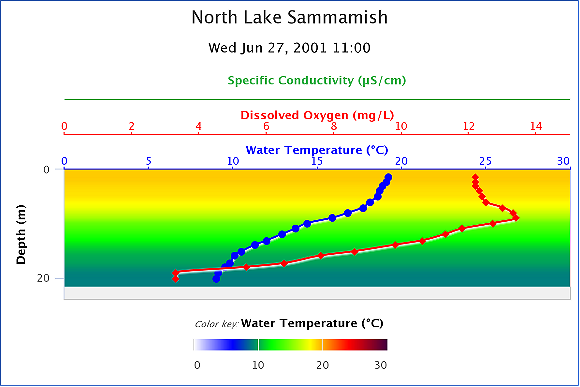 Data from Lakes Washington and Sammamish are provided by the Water and Land Resources Division of King County, WA. Please visit the King County Lakes Data website for more information on this project. Most browsers will no longer run Java applets that are embedded in a webpage (like our original data plotters). An alternative is to download and open this file: WOW_WA_Lakes_dataVisualizationTools.jnlp, which will launch the original Java version of the WOW Data Visualization Tools, but it will run outside of your browser. The rewrite is still in progress, but click here to try it out. The data should be considered provisional and subject to change.